In our todays test we do have a Subaru Impreza STI MY2006 with our streetlegal CRTEK2 powerkit! 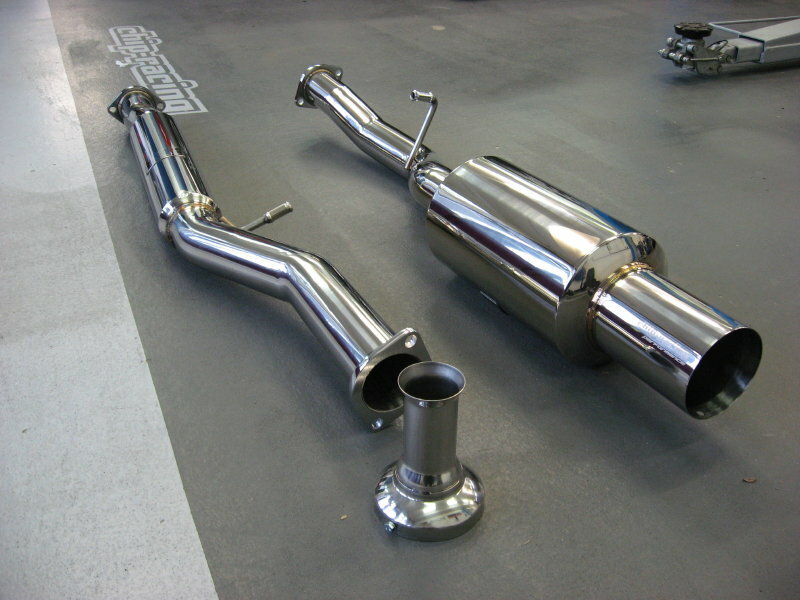 After we took the STI for a run on our Dyno to set a baseline we installed the Chip-Racing Exhaust, did the intake modification and installed the HKS drop-in filter. 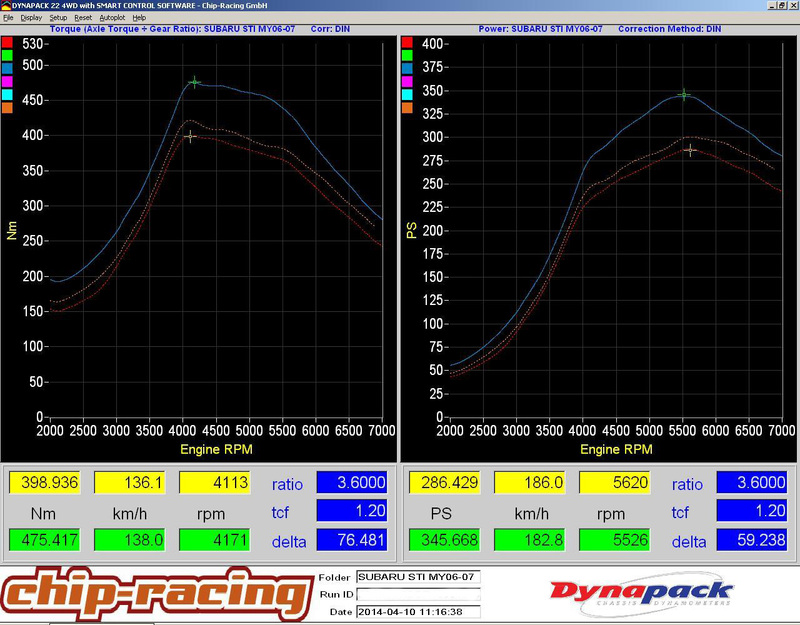 We did yet another run the dyno to verify the effects of those modifications! 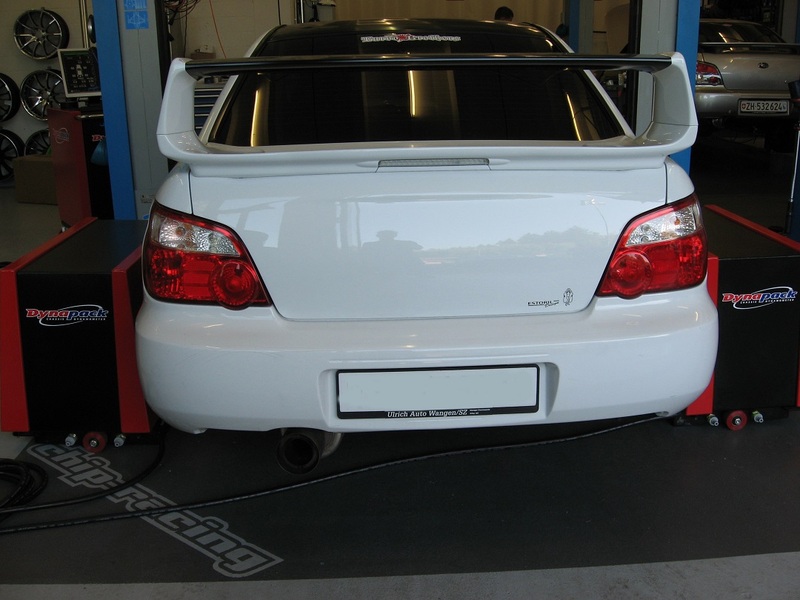 To get the maximum in performance, driveability and reliability we mapped the STI on our Dyno. Using Ecutek allows us to change every single parameter we want! Our CRTEK2 is the perfect solution for every tuning-enthusiast looking for a better performance, better sound and still wants to stay fully street legal! With our CRTEK2 there is no reason to fear vehicle inspections anymore!